Here’s a guess: Christmas is your favorite holiday. Am I right? Why? What is it about Christmas that moves us so deeply? Perhaps it’s the music. Or gathering with loved ones. Or that moment you go and pick out the tree. Or decorating that tree. Or opening the presents. Or the really good food. Or the way strangers take the time to greet one another. The truth is, it’s probably a combination of all of these, plus a couple dozen more. But what if Christmas didn’t have to stop on December 26th? What if the things we love the most about Christmas were actually the things we were invited to become all along? 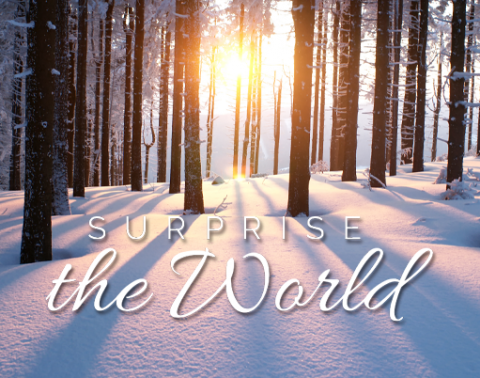 Join us this December as we explore 5 simple habits that we believe could change the world!